Lots of sewing going on at my house. My sewing room is in a constant state of pretty messes. I completed block four in Donna's quilt along. I love the Churn Dash block. It says generations of quilters to me. I'm having fun with these blocks. 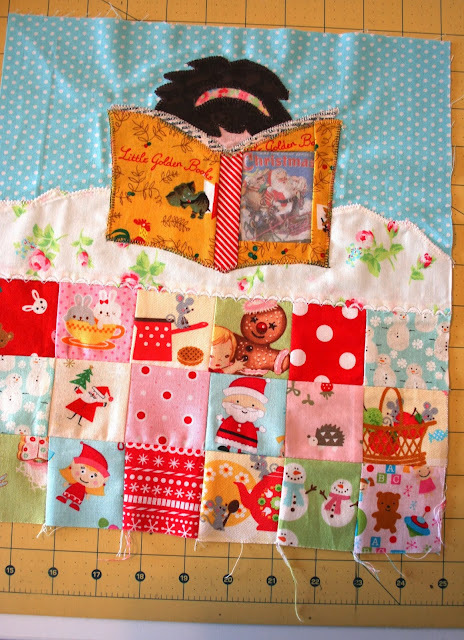 Lastly, I want to show you the beginnings of a pillow cover for the Holiday Pillow Talk swap I'm a part of. This block is in the Summer issue of Quiltmakers 100 blocks. I did some tweaking to it. The most fun part was the book. I found a picture of a vintage book online and copied it onto fabric. I found the Little Golden Book fabric in my stash and put the book together. Very, very fun sewing! Blessings! I love your sampler blocks!! And the Christmas pst Says "Christmas" in the most delightful way. I have a special basket of books I bring out at Christmas time and my kids are always so happy to see them each December. Very pretty creations going on in your world. The wee girl reading is delightful! I agree, your churn dash block is wonderful, it is a block that rings through the generations beautifully. Love your blocks - your fabrics are so darling. I am doing those as well and it is so fun to see it through someone else's eyes. I love love love the girl reading - oh so sweet. Blessings! How sweet is the Little Golden book in her hands while she snuggling under her sheets and quilt! 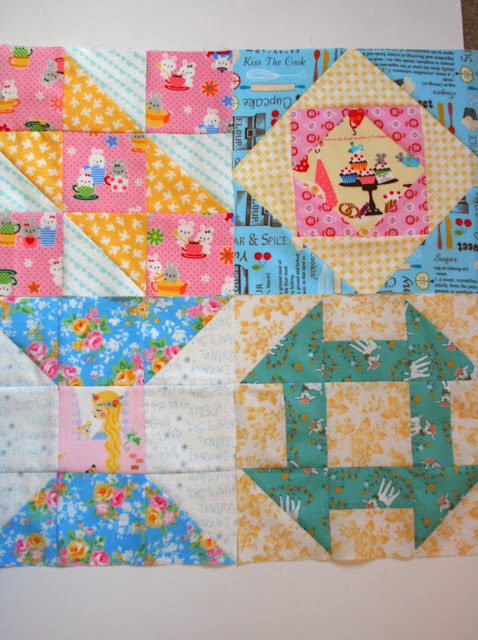 Your blocks are so pretty I love your fabric, The golden book block is so sweet. 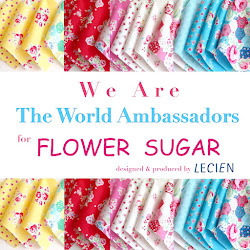 What a great idea to to copy a book cover on to some fabric. You always have so much cuteness in your sewing room. That was so clever of you to make the little Golden Book. The quilt is darling. I'm on cloud nine as I write this, as I met Susan Branch today at my favorite quilt store, Strawberry Patches, here in Bakersfield, CA. ; had such a wonderful time. She was doing a book signing there. I first became acquainted with her blog from reading your Blogs I Heart list. So your blog is usually the first blog I read. I'm a real fan of you both. Very pretty work! 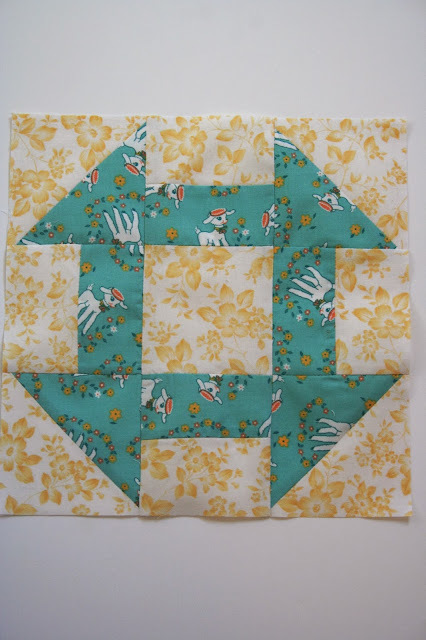 I love that green fabric with the little sheep on it! your blocks look so pretty! and I know I told you on IG and flickr already but I love what you are making for the pillow talk swap. The golden book fabric is the perfect touch! 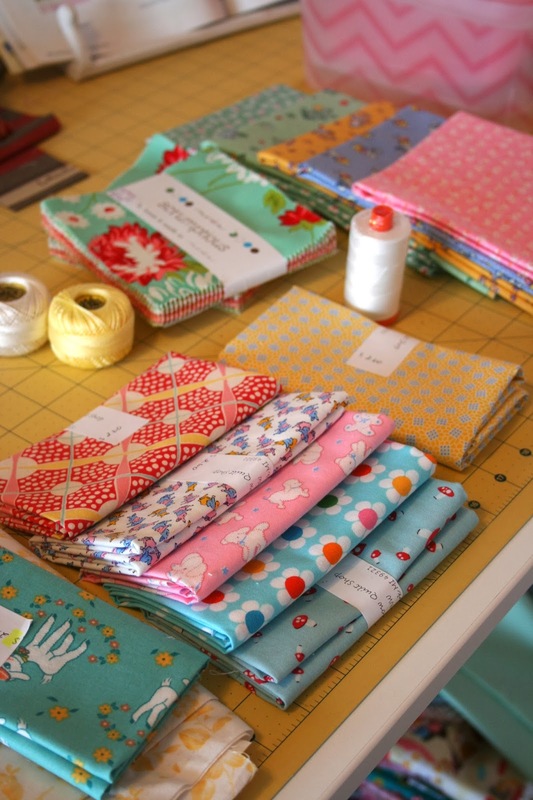 Definitely some pretty sewing going on at your house :) love it all!